We were thrilled to receive this award last week when the FitDog Friday hosts Slimdoggy, MyGBGVLife, and To Dog With Love announced their 2015 Participant Awards. In their words, these awards are given to “our most faithful and dedicated participants in the FitDog Friday blog hop”. We are in very good company here with many of our favorite blogs amongst the winners. Please click here to see who they are. This award means a lot to me, because I really do struggle at times to keep all of the dogs (and myself) fit. The FitDog Friday blog hop is one of the things that often provides me with much needed motivation. It really is a challenge to have three dogs (and it used to be 4) of different ages, activity levels, and health issues. Luke is a young dog who needs a lot of exercise, but this is complicated by his bad knees. Sheba is 10 1/2 years old and has arthritis. Cricket is just a couple of months older and has always been a very high energy dog. As many of you already know, our favorite activity is to play fetch with a West Paw design Jive ball (yes, it has to be that ball….just ask Cricket) in our own large fenced in yard. In the nicer weather, we spend 30-45 minutes almost every day out in the yard, and sometimes a shorter play session in the evening. All of the dogs love this game, but Cricket is the only one who actually plays “fetch”. Sheba will catch the ball, but then drop it and let Cricket return it to me. Luke will catch the ball and run around the yard or lie down with it and torment his sisters. Eventually he’ll give it up to Cricket, or just drop it in the yard somewhere. While he’s messing around, Cricket is running around tracking where the ball had gone. Cricket returning the ball….always with her nose to the ground. Sheba watching Cricket do all the work! While Cricket is busy chasing and retrieving the ball, then returning it to me, Luke and Sheba are often just screwing around digging holes, or play fighting with each other. They are like a couple of children with short attention spans. So they are not getting nearly the high intensity workout that Cricket is. Therefore, we try to supplement their exercise needs with walks (and we do some training for mental stimulation as well). Actually, I like them all to get walks, I think it’s good for Cricket to do something different too. Since they all walk differently, it’s easier to walk them individually. I don’t always have time to get each of them out so I have to prioritize: Sheba first, because walking is good for her arthritis. Luke is next since walking, especially hills, is good for building his leg muscles to help his knees. Cricket is a fast walker and when we got back into our walks this spring, I realized she is happier if I’m jogging (so I’m psyching myself up for that now). Luke taking a break, eating a clump of grass he dug up. One of their “excavation projects”. Sheba walks like I’m flying a kite, and it’s difficult to walk her on the road and try to keep her out of it. I try to keep her to back roads without much traffic, or trails. Luke is a stop and sniffer constantly, and we also work on his loose leash walking (“heel”) off and on when walking. Cricket is actually the best walker and even though she’s a beagle, she only stops and sniffs occasionally. So I get the best exercise when I’m walking her. Soon when the weather gets even warmer we’ll add some other activities. Swimming is high on the list, because that is especially good for Sheba and Luke with their conditions, and even Cricket loves the water. As soon as the yard dries out, we’ll be getting out our agility tunnels for fun, and I also hope to start teaching them the weave poles. When it’s hot we’ll get out their kiddie pool, so that will add some jumping in and out of the pool for them. Luke gets his turn with the ball…. I was lazy and pouty over the freezing cold weather this winter, and we didn’t do well at all….though we were out there almost daily at least for 15 minutes or more, so at least that was something, and we also did training and nose games indoors. But I welcome the spring weather finally being here, and it does give me incentive to get moving more….along with the inspiration I get from my fellow FitDog Friday blog hoppers. We look forward to sharing some new activities soon! Have you joined the FitDog Friday blog hop? 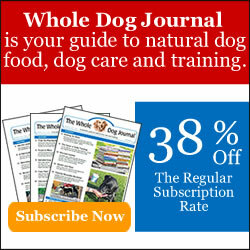 It’s a great way to motivate yourself, and also to share what activities you to do to keep your dogs fit! Join our hosts SlimDoggy, To Dog With Love and MyGBGVLife, and also visit other blogs through the links below to learn more about keeping your dogs fit and happy! I’m still getting used to your new design, for a second I didn’t know where I was! Sorry I’m late with this, but I’ve fallen behind in my blog-post reading again. Congrats on the award! It is certainly well-deserved! With all your different challenges, I can certainly understand how difficult it must be to meet them at times! Congratulations on the award and well-deserved. Y’all have worked and played hard. I think it is great how Cricket will bring the ball back to you. Luke sounds like Nellie who steals the stuff goes off and hordes it and won’t let anyone near her. Congrats on your great award! Everybuddy looks like they’re having so much fun outside. Congrats on that cool award! I love that last picture with all three of them! You are so good about making sure all three of them get what they need–I so admire that! I have a hard enough time making sure one dog gets what she needs, so if we ever end up with another dog in the family, I’ll really be turning to you for inspiration! Perfect pick for the pack variety award, congrats! Congrats on your award! I bet the dogs will be happy to get swim and to play with the agility equipment. Freighter was in the water the first time on Tuesday. Our ponds are still pretty cold. I guess some in his training group got cold tail. He did not, thank goodness. 🙂 Have a wonderful weekend. Regarding when it is safe to let dogs swim, I think that depends on the dog. A dog like Luke without much body fat and not much coat, I would make sure the water is good and warm. Freighter did a bunch of long water blinds today and he was fine even though the water is still kind of cold (40’s maybe 50). Chessies are bred to swim in cold water with their oily double coats. Freighter shakes and is dry so he did not even shiver after being in the water today. This is why I only have one dog lol! Much easier just toting Mr. N around. It is definitely hard walking multiple dogs with different walking styles. Mr. N usually wants to charge ahead and our foster dog wanted to lag behind. Good work guys and congratulations! Especially you Cricket 😉 Sounds like she is the athlete of the furry family hehe. Oh yes, Ann, Cricket is definitely the athlete in the family! We also call her the Energizer Bunny, though she might finally be slowing down a bit at 10 years old….maybe. If we lived closer, we would get you all out in the winter. We are winter lovers and motivators! You suffer the same issues as Mom with the three of us all being so different. The biggest problem is time really, but we kind of have it all worked out and just accept Mom will be running late most mornings. Wow…now that’s why you got that pack variety award…different dogs, different needs, but the dedication to keep them all fit and happy – well done! Congrats!!! Luke I like your project, you should join the world-tunnel-digger-team… I’m near the newfoundland islands with my tunnel, maybe you can help me a little from the other side of the pond? Sign me up, Easy! Just send me a map and I’ll start digging! Great post! Love your excavating project, well done! We are so glad winter is over too, mom was so grumpy!! Happy Friday!